Here is a seldom picture from the garage. Yes, he is a proud member. But did we see him so often? 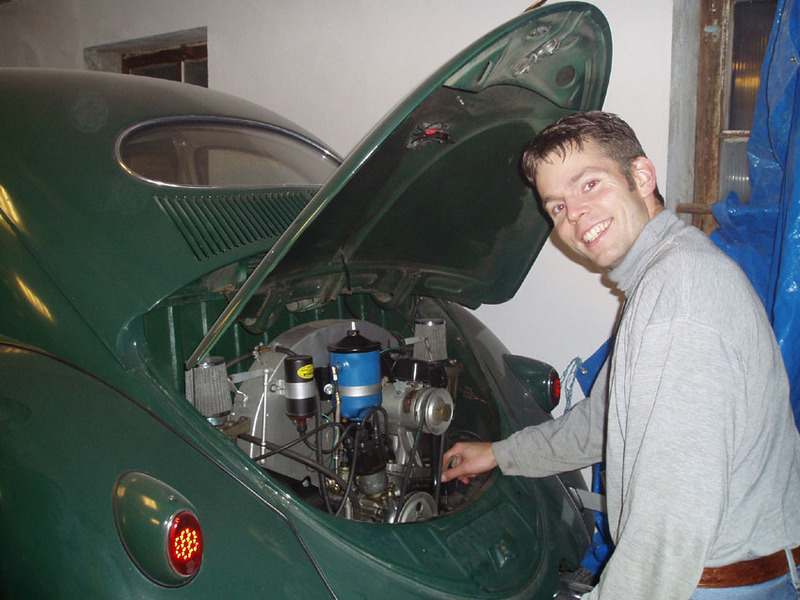 Yesterday he did some VW-service on his Jungel-green machine. New oil was put into her heart. 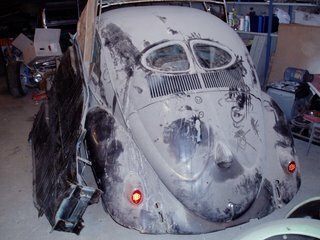 And best of all, the old 356 engine did start (with help from my battery). Oh, what a lovely sound! 25 HP tuning by Oval57? 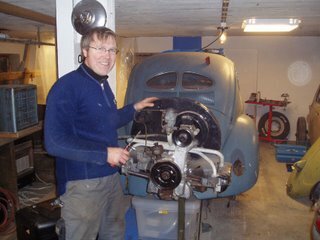 Yesterday I finally got my winter-motor-project inside the garage. It is a 25 HP engine for one of my splits. 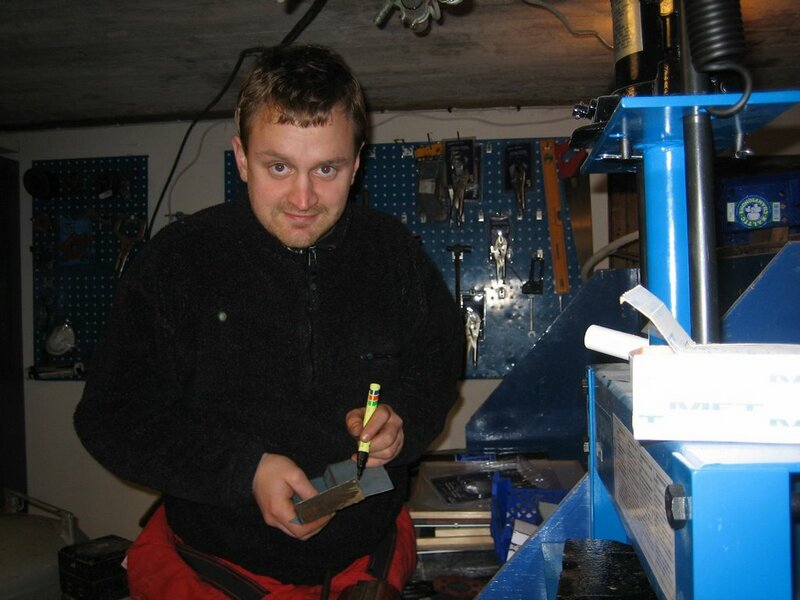 I have desided to sandblast the steel and paint it with powder-coat in Sweden. I miss some parts on the engine, but I will find them. And, of course, I will have the correct K-manifold on it. Beside me Knechten and Oval55 was working on their splits or ovals. A new metalshaper is born =) During an afternoon in the workshop, Fürsten handcrafted some nice weldingparts with his bare hands. A detailed picture will follow after another afternoon of shaping. The piece under production is the rear end of the heaterchannel and inner channel. Small things can make a simpel man happy. Some people can`t get enough. The most of us buy one car at a time, but Oval57 think that will be to less. When he this summer had collected splits, he picked they up one-by-one, with good help from the 6V OutlaVWs. This weekend he was "fed-up". "Let`s bring home two!" he said. And so he did. 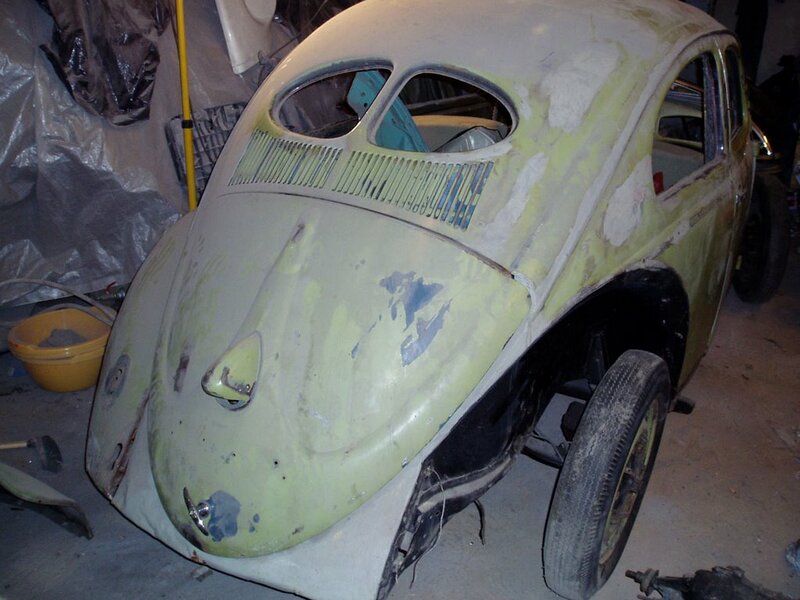 Today he is the new owner of TWO 1950 model VW bugs. 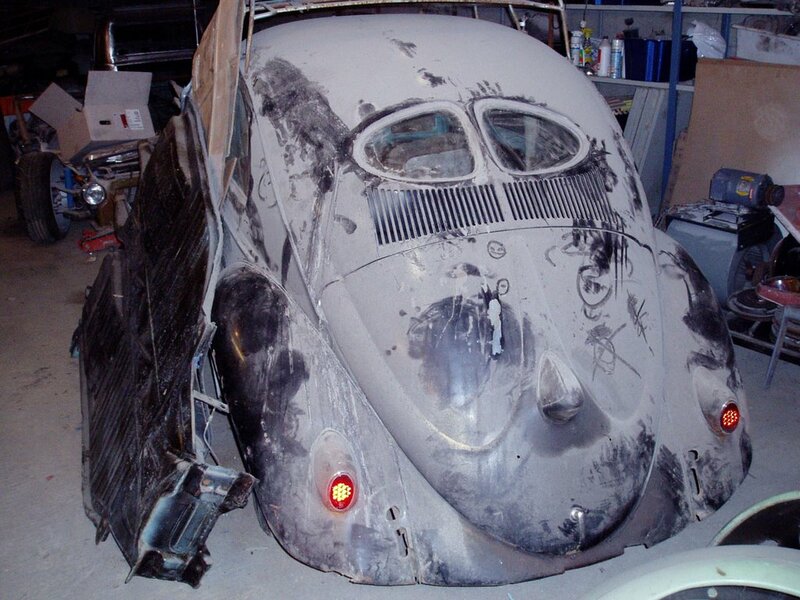 The papers tells that they where imported to Norway as new cars. The cars is of course objects, but the "yellow" is quite nice.